Sebastian Malheur is the most dangerous sort of rake: an educated one. When he’s not scandalizing ladies in the bedchamber, he’s outraging proper society with his scientific theories. He’s desired, reviled, acclaimed, and despised - and he laughs through it all. Violet Waterfield, the widowed Countess of Cambury, on the other hand, is entirely respectable, and she’d like to stay that way. 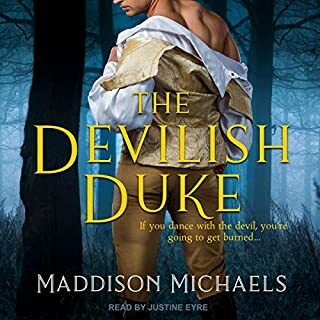 But Violet has a secret that is beyond ruinous, one that ties her irrevocably to England’s most infamous scoundrel: Sebastian’s theories aren’t his. They’re hers. So when Sebastian threatens to dissolve their years-long conspiracy, she’ll do anything to save their partnership...even if it means opening her vulnerable heart to the rake who could destroy it for good. 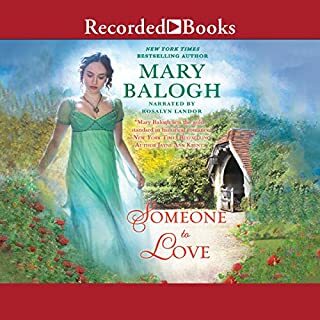 Each audiobook stands alone, but those who prefer to read in order might want to start at the beginning. If you could sum up The Countess Conspiracy in three words, what would they be? This one's for the girls. For every smart woman out there who has ever felt that her intellect somehow diminishes her lovability. For every woman who has struggled to conceive a child or maintain a relationship. This is a tremendous book. The romance is touching, the characters are well drawn, and the humor sparkles, but that's only part of the story here. The emotions are raw, and you'll feel every bit of what Violet is feeling. This is a book that's mostly about the triumph of the human spirit, and the ability of women to succeed even in a world that doesn't acknowledge their successes. I can't say too much more without giving away key plot elements, but this is a glorious tale. 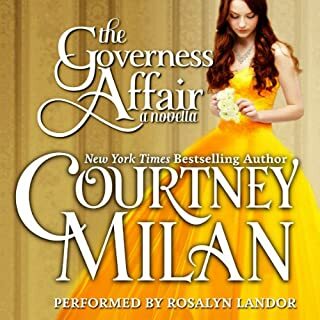 This has been the only Courtney Milan book I haven't enjoyed. This isn't really a romance story, it's more historical fiction. It's the story of Violet and how she went through a journey of self acceptance, she fought for women's rights and equality and found love on the way. The romance is very mild and I got bored hearing about the inheritance of traits in plants. Not even the amazing narration saved this story for me. I do not recommend it. All the other books in The Brother Sinister series are excellent thought. 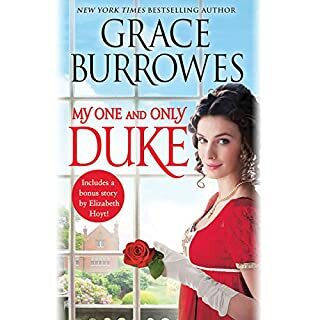 I truly enjoyed this historical romance! 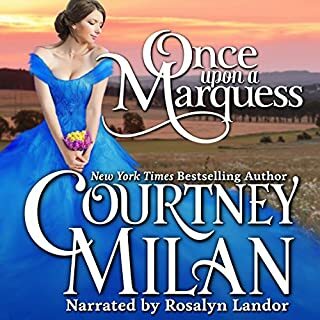 Only Courtney Milan could make the inheritance of traits interesting! The characters, favorites since the first in the series are colorful, endearing and thetheir relationships and stories are believable and at times painful. The journey is a scientific delight, the ending worth the struggles and wait. The parts about Rakus Erectus and associated scientific names cracked me up! But the author's note at the end had me bursting into tears...the historic representation of the Violets of the world and untold stories touched me. This book took extraordinary research, it shows. Worth the credits, and Rosalyn Landor is flawless as usual. Even though the author obviously used some artistic creativity with the history, this story really makes you think about women, their roles in society, and how far we have come. The romance is great, love Sebastian, his personality, how he treat Violet, and the interaction between these two. There is so much to Violet and her history, her accomplishments, and what women went through before any academic freedom was available. Even with that serious side, this is a fun book and a great listen. As one of those 'smart girls' who has raised three smart girls, I could really relate to this character. I only hope history did have some good outcomes like this story, although I imagine more of the outcomes were lost names and faces of women who worked really hard. As usual this narrator is superb. I love this series, all the characters are unique and I can't wait for the next one to come out. I have listened to all the books in the series and have loved them all on their own merit. This one was different though. There is a true meaning behind the story. The dedication in the beginning was a bit ominous but the author explains at the end of the book and it all makes perfect sense. A lot of research appears to have gone into this book and I appreciate it all. I love Sebastian and Violet. I love Rosalyn Landor. I know in reading the authors page she really didn't plan on making this a series that went on and on. There are two more books in the works. I for one am extremely happy to know it isn't ending here. 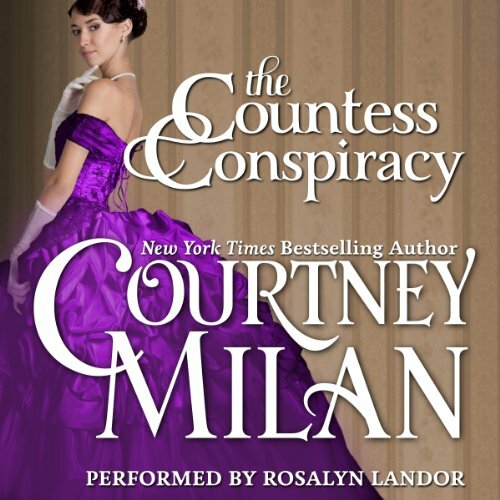 What made the experience of listening to The Countess Conspiracy the most enjoyable? I love the narrator and the way the whole story just played out. Her voice is very.period, Sounding and I really enjoyed listening to her. Just how very very patient Sebastian was with Violet to resume her sexual life. This one focused a lot on science and a woman's place, more than romance I thought. Must of Milan books are a page turner for me , this one not so much. I will continue to purchase her books. What a delight! This is one of the best stories from Courtney Milan. Beautifully written with a huge amount of scientific evidence taken from documents of this era. It portrays a long standing love story with the plight of women in achieving recognition for excellence in their fields. It also beautifully touches on women’s sensuality. I was very touched and moved by this book and highly recommend it! Two potentially brilliant people, struggling with their inner demons of angst and insecurity, form a private alliance based on a public lie. These are not the Violet and Sebastian introduced previously in the series, as there is little wit and humor present in their verbal sparing, or in their interactions with friends and family. Violet is so coldly unlikable that it is tedious to wait for her to thaw. Sebastian is so pathetically patient in his unrequited love, as to border on self immolation. Unlike the other books in the series which commanded nonstop reading/listening, after more than 5 hours in I found myself increasing the speed to move the story along. I will probably complete it, (because I hate to leave things unfinished, not because the novel compels me to do so), hopefully to a more favorable review. Rosalyn Landor, remains an exceptional narrator, and most redeeming factor in this offering. Thank you for honoring all those brilliant women whose names we will never know. I loved this story. Sebastian and Violet's story was lovely to read. I love this series, but this is my favourite to date. The scientific and historical background covered in the narrative is brilliant. A very enjoyable romance, highlighting the plight of women struggling for acceptance in a man's world of Science. Thank goodness things have changed for the better in the modern world! Rosalyn Landor is outstanding as narrator and adds a whole new dimension to the reading experience. I will definitely be listening to more by this author and narrator.